Incepta expects most Hopetavir buyers to be in other countries. Millions of people with hepatitis C live in Brazil, Thailand and Morocco. (Bloomberg) — A $10 version of Sovaldi, the Gilead Sciences Inc. (Nasdaq:GILD) hepatitis C treatment that sells for $1,000 a pill in the United States, is now available in Bangladesh and could make its way to other parts of the world where the U.S. company doesn’t have patents. Incepta’s price of about $900 for 12 weeks is the same price at which Gilead will offer its branded version of the drug in India. Even so, the Bangladeshi version shows the challenge facing Gilead from companies it doesn’t have agreements with in countries where the drug isn’t patented. The World Health Organization (WHO) said it is in talks with Incepta for its prequalification programme, which assesses drug quality. International aid agencies and countries look to this WHO certification as a reference when picking drugs for bulk purchases. Under a World Trade Organization agreement (WTO), Bangladesh, as one of the world’s least developed countries, doesn’t have to protect pharmaceutical patents. In the United States, Sovaldi has sparked a backlash from commercial health insurers because of its cost of $84,000 for a 12-week course of treatment. In the rest of the world, the price of the drug is already set to plunge as Gilead’s licensees start selling. See also: Doctors Without Borders takes on drug companies in India. A number of other Sovaldi generics besides Incepta’s, also not authorized by Gilead, are in the works in Egypt, according to the Egyptian Initiative for Personal Rights. The WHO is in talks with Incepta along with a “handful” of companies in India and Egypt on pre-qualification of Sovaldi generics, said Peter Beyer, senior advisor in WHO’s department of essential medicines and health products in Geneva. Dhaka-based Incepta is currently preparing quality and dissolution studies on its version of sofosbuvir to submit in support of its international applications, Muktadir said. Incepta’s sofosbuvir is approved for sale by the Bangladeshi drug regulator, said Mohammad Salahuddin, assistant director at the Directorate General of Drug Administration. 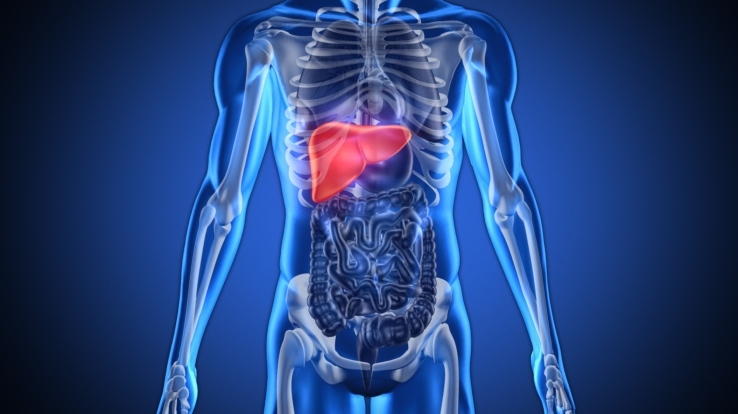 Gilead’s hepatitis drugs, including Sovaldi and the related pill Harvoni which combines Sovaldi with another drug, have transformed the way liver infection is treated, with most patients being cured after a 12-week course. Nearly a dozen Indian manufacturers are part of Gilead’s licensing pact for low-income countries, including Cipla Ltd., Hetero Labs Ltd., Mylan Laboratories Ltd., Ranbaxy Laboratories Ltd. and Natco. Sovaldi was Gilead’s top-selling product last year, bringing in $10.3 billion in sales for the company. Incepta’s copy of Sovaldi, called Hopetavir, is aimed more for international markets than Bangladesh, where hepatitis C prevalence is low, though there is no reliable nationwide data, Muktadir said. Founded in 1999, Incepta has more than 600 products approved for sale in Bangladesh, ranging from oral solid pills to injectable human insulin, according to the company’s website. The company exports products to more than 40 countries, mostly less regulated markets like Mongolia, Kenya, Somalia, Ethiopia, Mauritania, Democratic Republic of Congo and Afghanistan. It also sells to more regulated markets such as Finland, the United Kingdom, Ukraine and Turkey, according to the site. Doctors Without Borders is “searching for affordable, quality assured sources of sofosbuvir,” said Rohit Malpani, director of policy and analysis at the Access Campaign in Paris. The aid agency can purchase products approved by “stringent” country regulators or by the WHO, he said. The majority of the world’s hepatitis C sufferers live in middle-income countries, which carry approximately 73 percent of the world burden, according to Doctors Without Borders. Brazil, home to 2.6 million people with hepatitis C, Thailand, with 1.5 million patients, and Morocco, with 625,000 patients, are all nations not included in Gilead’s agreement with the Indian generics companies. —With assistance from Caroline Chen in San Francisco and Arun Devnath in Dhaka.